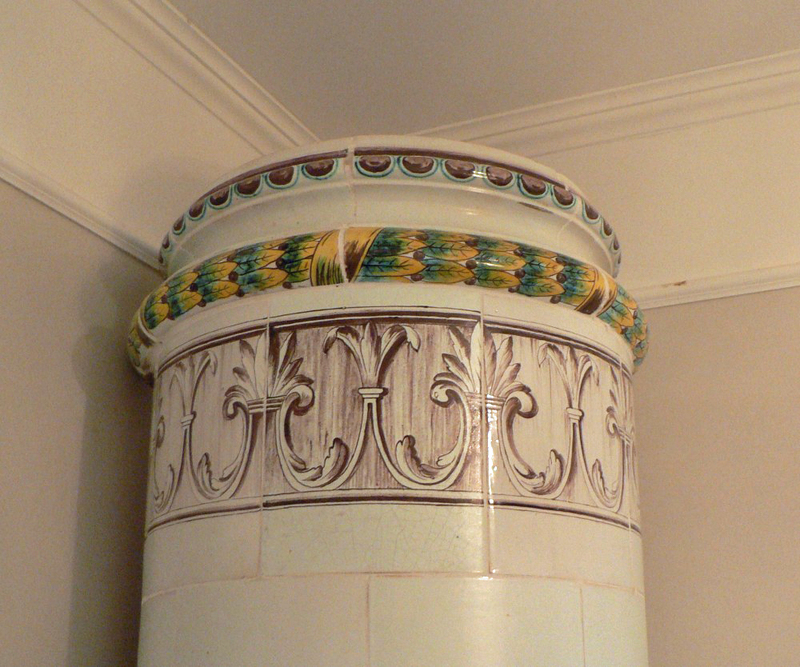 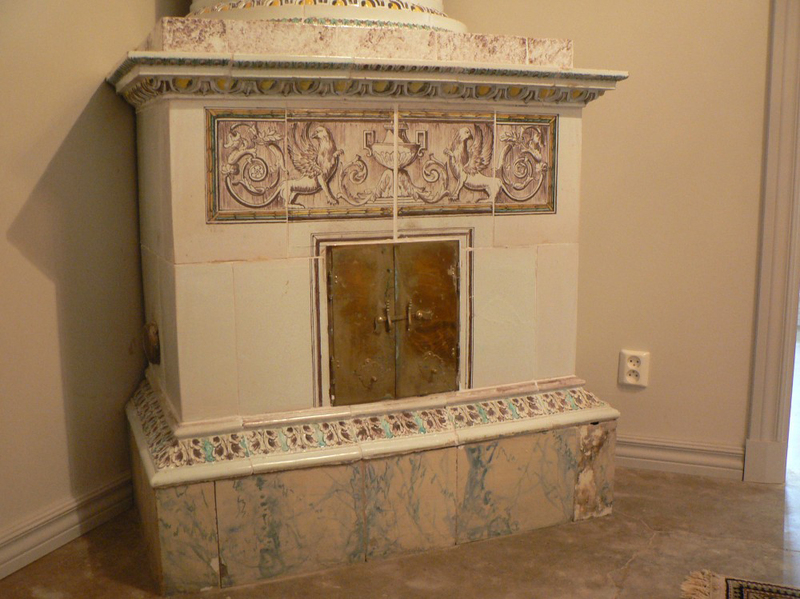 Very nice looking column stove in Empire style, made by the Upsala Ekeby tile stove factory, about 1900. 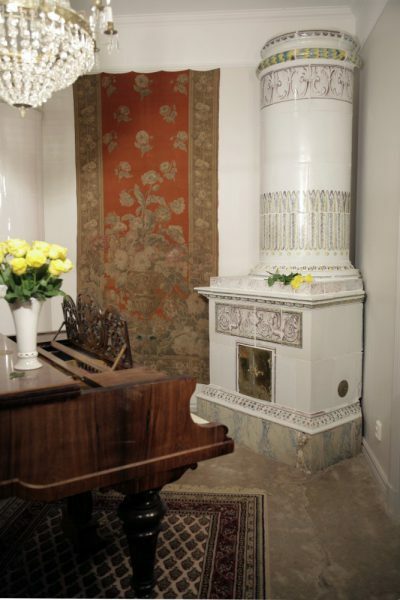 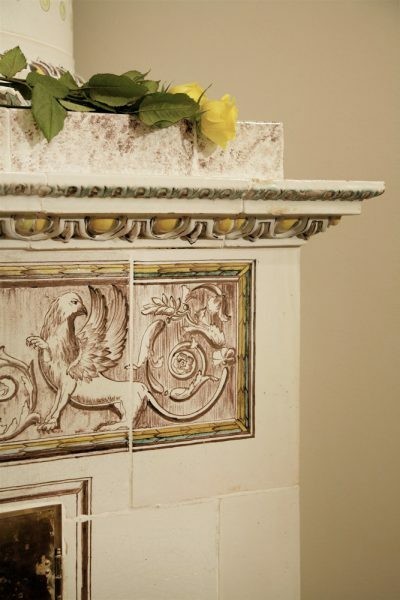 The sepia coloured decorations are inspired by exclusive stoves from mansions of the period 1790-1810. 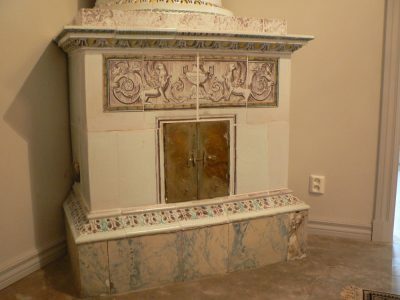 This stove is in a very good condition. Height 280 cm.